Wedding is one of the most important days of your life, however, planning the ceremony can get quite hectic. So, before you begin your planning, go through our wedding tips and it will make this humongous task easy-peasy. Before you start the wedding planning, setting a budget is extremely necessary. Otherwise, you will simply go overboard and might regret your decisions later. So, be careful with the budget. This is one of the most important things you must do before you start your planning. Buy a new book and make all the necessary sections, such as outfits, guest list, catering, flower décor, etc. Now, for each main section, create a checklist and since it is a big book, you can just keep adding things if required. No matter how small or big something is, write it down. All those ideas and thoughts will come in handy. If carrying a bulky book is not your cup of tea, then don’t worry, technology comes to your rescue. You can download ‘checklist apps’ that will do the same job. One such app is ‘wunderlist’. Here, you can create separate sections, make lists, add sub folders, notes, etc. and everything syncs to your email account or cloud. So, even if the app gets deleted or something happens to your phone, all your lists are safe and sound. 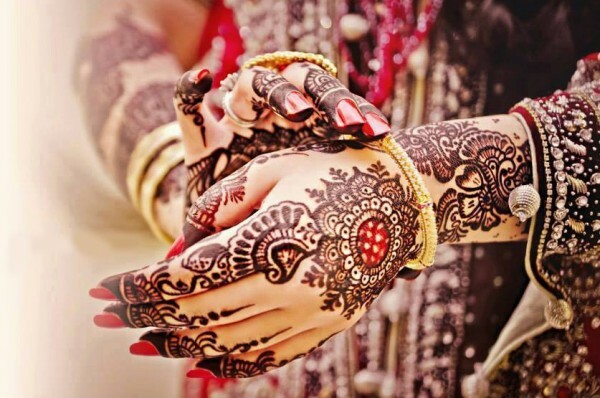 Make a list of events that you want to include, such as mehndi, sangeet, etc. and religiously follow that only. This way, there will be no glitch in your planning and it will be a smooth sailing. Be practical when you are planning your guest list. Do it according to your budget and don’t be influenced by what others have to say. Once the list is final, you can create an excel sheet and jot down all the names of your guests. So, sending the invites will get easier and you will not miss out anyone. If you start feeling overwhelmed, don’t. Take a step back, relax and revisit your list. If something is missing add it and if something is in excess, just delete it. • Safety – The venue you decide must have all the necessary fire precautions and must be able to accommodate all your guests easily. • Back up – It is difficult to predict the actions of mother nature. So, if you are planning an outdoor wedding, you need a backup plan, if it rains. • Accessibility – Choose a location which is easily accessible. You can send all your guest google map directions to make things easier. • Facilities – Your venue must have the necessary facilities, such as, parking space, washrooms that are clean, good lighting, etc. Choose a venue which doesn’t have a lot of stairs because it will become difficult for all the elderly members of your family. • Book it – Once a venue matches all your requirements, you must go ahead and book it. This way, you will not lose it. You probably have a vague idea of what you want. However, if you are not sure, you can get some inspiration from bridal magazines or on the internet. • Choose an outfit which will flatter your figure and skin. • You can opt to Buy Jewellery Online if you are looking for gold-plated and skin friendly jewellery. Prepare emergency kits for the wedding and carry it as they might come in handy. Kit 1 – Hair pins, safety pins, needle and thread, nail polish, nail polish remover, cotton pad, tissue (dry and wet), rubber bands, combs, earrings backs, a small makeup kit, perfume, etc. Kit 2 – Vitamin C tablets, mint, pain killers, band aids, Dettol, bandages, sanitary napkins, hand sanitizer etc. Kit 3 – Your phone charger, water bottle, healthy snacks and fruits.